Are you an Open Source enthusiast? do you believe in Open Source? 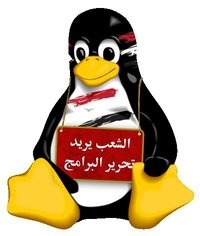 Then come tomorrow to join the 2nd forum about an Egyptian Strategy for the Open Source! The invitation is open for all OpenEgypt.net members (join from this mailing list). The event will take place tomorrow at ITI premises (Smart Village) from 10AM to 1:20PM. Announcement & Agenda: Here and Here. Cairo-GTUG as a (non-profit) organization, is encouraging and supporting this strategy.